The Superilles program is a project of the Barcelona City Council aimed at improving the lives of people by defining a new urban unit that enables new functionalities in the public space. This program represents an opportunity to promote sustainable mobility, productivity, green areas and biodiversity and pedestrian spaces. Smart Engineering participates in the technical definition of the pavements for the future Superilles (1) that minimize the vulnerability of the environment and the effects of urban heat islands, (2) respect circular economy and sustainability, 3) with high drainage capacity and (4) with aesthetics of a pedestrian area to avoid the feeling that vehicles. At the level of the districts of Sant Martí, l’Eixample and Gràcia global project has been planned for each area. 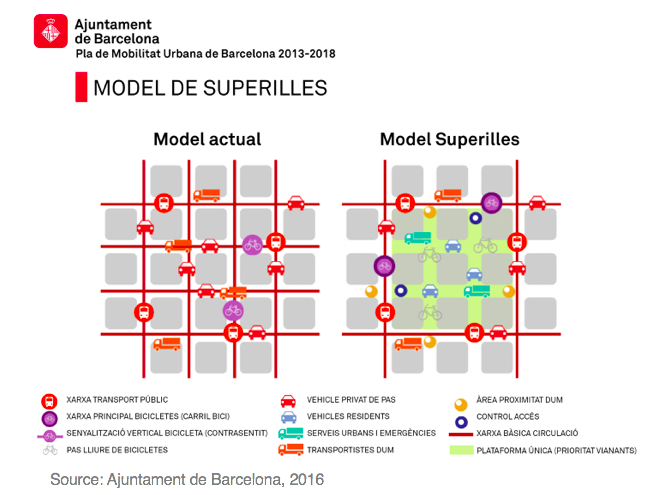 Similarly, Superilla models at the neighborhood level are also planned for Sant Gervasi – La Bonanova (Sarrià – Sant Gervasi district), Horta (Horta – Guinardó district), Sant Andreu (district of Sant Andreu) and in Prosperitat (district of Nou Barris). The new zones would be added to the previous models located in Poblenou, in the Antiga and Nova Esquerra of the Eixample, in Sants and Hostafrancs and in the Maternitat and Sant Ramon. Smart Engineering has been collaborating since last April with the Barcelona City Council in defining the processes of Innovative Public Procurement. The City Council of Barcelona recently presented an ambitious plan to implement a strategic plan that will allow Barcelona to become a city with full technological sovereignty. This plan is scheduled to take place between 2017 and 2019 and has a budget of approximately 65 million euros. Within the different lines of action of this plan is the open and innovative public procurement, which seeks to transform public procurement and facilitate their access to SMEs. Thus, it is hoped to achieve a more strategic and open contracting that goes beyond social buying and selling, to promote innovative public procurement and thus attract SMEs and self-employed to develop solutions for urban challenges. In this sense, Smart Engineering has begun the Avalua project with the Barcelona City Council. The objective of this project is the development of a software tool that allows the evaluation and selection of alternatives for innovative public procurement competitions developed by the City of Barcelona. In particular, the challenge of the Superillas pavements will be taken as the starting point of the Avalua project. 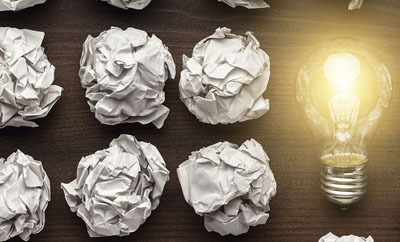 In this way, Smart Engineering is established as a fundamental player in the Catalan innovation sector, through the development of advanced tools to aid decision making. Smart Engineering and AGBAR continue their collaboration with the aim of developing tools and models for the prioritization of the renewal of the pipeline network for water distribution through sustainable development. At the end of last 2016, Smart Engineering finalized the project that had as object the city of Barcelona. 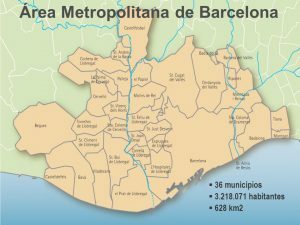 Currently, the tool is being extended to the entire Metropolitan Area of ​​Barcelona. Because resources are limited, it is impossible to renew the entire desirable distribution network as a whole, and consequently, identifying which renewal investments to carry out becomes a critical activity. In the past, these investments were prioritized according to purely and exclusively monetary criteria (based on the Internal Rate of Return or IRR). However, as part of this H2020 Strategic Plan, AGBAR, ​​assisted by the company Smart Engineering, has implemented a MIVES management methodology to prioritize the maintenance of the water distribution network under sustainable criteria (ie considering aspects Economic, social and environmental). The Prioritization Index for the Renewal of the Water Distribution Network aims to evaluate the impact or risk that, from the point of view of sustainability, has each section of pipeline in case of non-renewal. Thus, those sections with the greatest impact on sustainability are those that must be prioritized, and consequently renewed. Taking this premise as a reference has considered the economic, environmental and social impact or risk of not renewing each section of the distribution network in the decision tree. To this end, only the most significant and discriminatory indicators have been considered. The consequences of non-renewal are evaluated here with respect to each and every one of the sustainability indicators of the decision tree. In total 3 requirements, 5 criteria and 8 indicators (the weight of each requirement, criterion and indicator was obtained through AHP, with the different Aigües de Barcelona relationship groups). The consistency, representativeness and objectivity of the criteria and impact / risk indicators considered in each requirement will guarantee the goodness and credibility of the results. The Economic Requirement values ​​the use that would be given to economic resources in case of executing the renewal of each tranche. The objective is to make the most of every euro invested, which is why this requirement only considers the Investment criterion. The main indicator of this requirement is the IRR or Internal Rate of Return, which corresponds to the return offered by an investment and which is modified by the criticality of the tranche. The objective of the Environmental Requirement is to prioritize those sections with greater risk to the habitat, that is to say, to renew the sections whose impact on the environment is greater in case of failure. The two criteria considered in this requirement are the risks of water loss, which includes latent leaks such as leakage due to damage and the loss of energy used to drive the water up to each stage. The Social Requirement is responsible for assessing the consequences (direct and indirect) that can in case of failure in a section of the network would generate both people, in terms of historical involvement to customers, service pressure level and water quality , As well as to the city, in terms of affecting mobility, other underground infrastructures and failure to take advantage of repair opportunities derived from works of other services.